Today is World Elephant Day (12 August) and there has been coverage on ITV News, Daily Mail, Daily Express and CBBC Newsround of the issues facing these gentle giants of the animal kingdom. The UK Government and Defra is spending £26million on combatting the Illegal Wildlife Trade between 2014 and 2021. As part of this funding, the Illegal Wildlife Trade Challenge Fund, administered by Defra, is spending a total of £11million on protecting elephants. The Government has launched the Ivory Alliance 2024, bringing together a network of global leaders, conservationists and experts to engage with countries where ivory demand and trafficking is high. It will work with partners globally to increase the number of countries committed to domestic ivory bans to more than 30 by 2020 and for tougher enforcement against those caught breaking the law. The Chair of the Ivory Alliance 2024 is today confirmed as Environment Secretary, Michael Gove, and the Alliance has the ambition to reduce the illegal killing of African elephants for ivory by at least one third by 2020, and to further halve this rate by 2024. 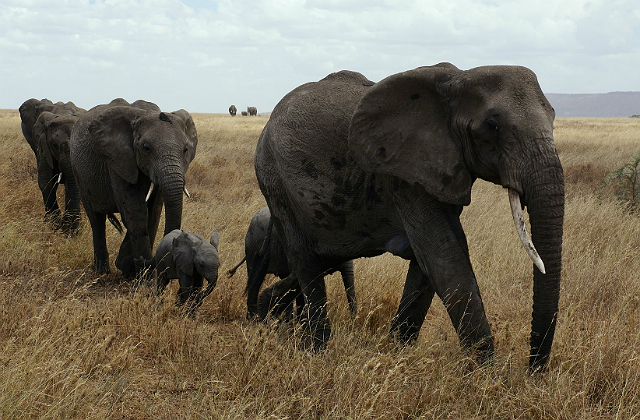 World Elephant Day highlights the plight of this iconic species. We must all do more to ensure the survival of these majestic animals for future generations. That’s why I am delighted to be chairing a new initiative, Ivory Alliance 2024, to bring countries together to close ivory markets and improve enforcement. This will form an important part of the discussions at the Illegal Wildlife Trade conference being held in London during October. The Illegal Wildlife Trade Challenge Fund, alongside our introduction of one of the world’s toughest bans on ivory sales, shows our global leadership in protecting elephants in their natural environment.